The Indian River is a very wide waterway located in Hamilton County. 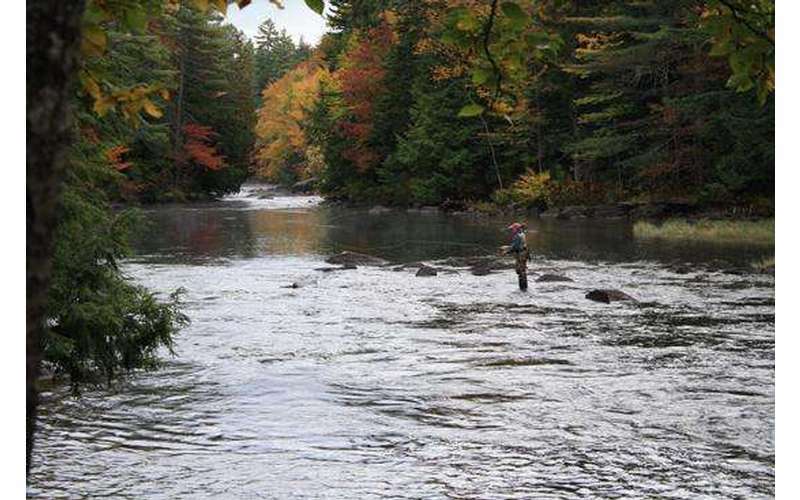 The Indian River is a very wide waterway and is stocked annually with rainbow trout and brown trout. the river produces an abundance of yearling fish but two-year-old borwns are stocked below the dam. Anglers that are wading need to be cautious because water is periodically released into the river to accomodate white-water rafting. The Chain Lakes Road parrallels the river and creates numerous access points.